I read this book a good few years ago now, and even though I can't remember every detail that happens within it, I still recommend it to almost every book lover I come across. When I first read the blurb, I actually felt like it was too far out of my comfort zone to be able to enjoy it, but I eventually bit the bullet and picked it up and I am so glad that I did. 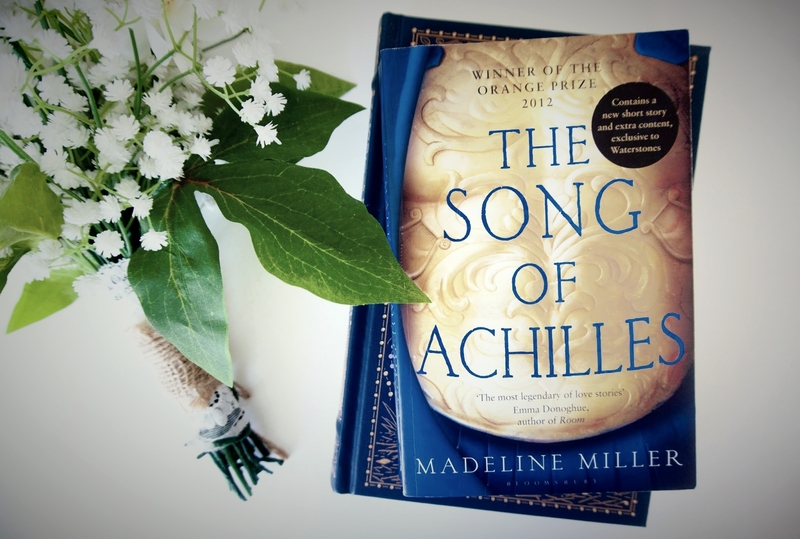 I did think about starting this post with a bit of information about the story of Achilles and Patroclus, as it's been told in numerous different ways over time, but I don't think I'd do it justice without this post being incredibly long. If you don't really know the story of Achilles and Patroclus though and you're interested in reading this book, I'd hold off researching it until after you've read it. That would make this book an even better experience for you! I remember feeling like this book was a little bit slow to begin with, but then all of a sudden, something shocking happened and I was hooked from then onwards! From then on, the pacing was non-stop. I felt tense and on edge throughout the rest of the story and even though I already knew the story of Achilles from back when I was in school, this book still destroyed me. After all the excitement and being on the edge of my seat for the majority of the story, I wasn't prepared for how emotional this book gets! By the time I got to the final page of this book, I was a complete wreck. I thought this book had done all it could to make me cry, but it just keeps destroying you until the last line. It completely tugged at my heartstrings and I had to give myself an emotional moment after I finished it to digest this beautiful story. I definitely want to re-read this book now that I'm a little bit older and see if I enjoy it any more than I did back then, and also to see if I can notice any details that I may have missed the first time around. If you're looking for something interesting, gripping, exciting, emotional, and also very intellectual, then I urge you to give this novel a read. I'm very happy that I ventured out of my comfort zone and gave this book a go, which opened up a much wider world of reading to me. It really is a beautiful story and I can't wait to read more from the author!